While many restaurants struggle to overcome industry stagnation, one chicken wing chain's growth hasn't slowed down. Wingstop recently opened its 1,000th location, just outside Atlanta. 100 of those wing joints opened their doors in the last year alone. "We have grown faster than just about any other restaurant chain," CEO Charlie Morrison told Business Insider. The numbers back up Morrison's claim. 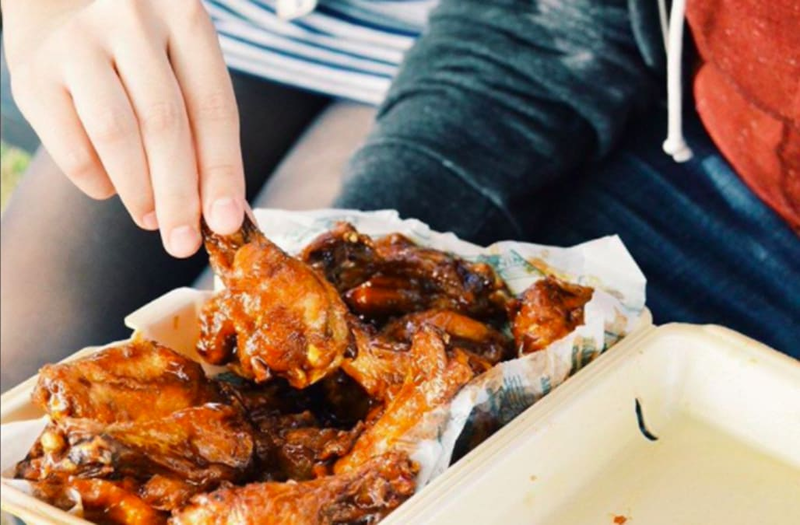 Wingstop, an international chain, was the third fastest growing restaurant chain in the US in 2015, as measured both by systemwide sales and unit growth, according to Nation's Restaurant News. 2016 marked the company's 13th consecutive years of same-store sales growth. What's the secret to Wingstop's success? According to Morrison, two things: singularity and simplicity. "We like to say we're in a category of one," Morrison said, implying that the chain is dominant in what it does. While chicken wings are nothing new, Wingstop is by far the largest chain in the US focused on takeout wings. While Buffalo Wild Wings is similarly wings-centric, its emphasis is on dining in instead of taking out. Its locations are bigger, its menus are longer, and its operations are more complicated. In fact, Buffalo Wild Wings' recent struggles highlights Wingstops' second strength: its simplicity. "Our brand is founded on simplicity," Morrison said. "Wings, fries, and sides make up about 95% of what we sell." Other fast-food chains tend to drive sales with attention-grabbing limited-time offers or growth into new menu categories. Wingstop has 11 wing flavors, with a new limited-time offering added to the menu twice a year. There are three sides: fries, beans, and coleslaw. The most popular flavor is lemon pepper, a recipe that hasn't changed since the chain opened. Simplicity is built into Wingstop's design, something that has made the chain's rapid expansion easier than growing a chain with more expensive and complex physical locations. Wingstop says its average unit volume is $1.1 million and it costs about $375,000 to build a new location because of its small size (about 1,700 square feet). Wingstop restaurants can be smaller than a typical restaurant because 75% of its business is takeout. The takeaway-centric model, which is built on customers ordering ahead, and simple menu make the chain primed to grow digital sales — one of the hottest trends in the restaurant industry. Customers tend to spend more money when ordering digitally. Wingstop says digital orders are, on average, $4 larger than in-restaurant orders. Plus, according to Morrison, digital orders speed up service and cut down on the potential for misunderstandings and errors along the way. Currently, 19% of Wingstop's total sales are digital. With about half of all orders still made via phone, Wingstop expects that figure to continue to grow. Also skyrocketing — Wingstop's store count. According to Morrison, the company believes it can reach 2,500 locations in the US.